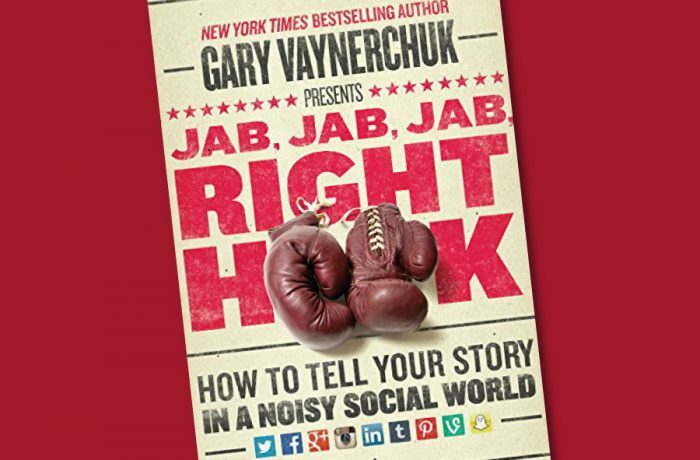 New York Times bestselling author and social media expert Gary Vaynerchuk shares hard-won advice on how to connect with customers and beat the competition. A mash-up of the best elements of Crush It!and The Thank You Economy with a fresh spin, Jab, Jab, Jab, Right Hook is a blueprint to social media marketing strategies that really works. When managers and marketers outline their social media strategies, they plan for the “right hook”—their next sale or campaign that’s going to knock out the competition. Even companies committed to jabbing—patiently engaging with customers to build the relationships crucial to successful social media campaigns—want to land the punch that will take down their opponent or their customer’s resistance in one blow. Right hooks convert traffic to sales and easily show results. Except when they don’t. Thanks to massive change and proliferation in social media platforms, the winning combination of jabs and right hooks is different now. Vaynerchuk shows that while communication is still key, context matters more than ever. It’s not just about developing high-quality content, but developing high-quality content perfectly adapted to specific social media platforms and mobile devices—content tailor-made for Facebook, Instagram, Pinterest, Twitter, and Tumblr.